Visiting Kalavryta in winter is like jumping into a folk story. Only a couple of hours away from Athens, it is one of the best destinations for fall and winter. Kalavryta is a town with a historic past, as it was the place where the Greek revolution started back in 1821. You can definitely feel that vibe of the past in the neoclassic buildings and the religious monuments. It’s a place full of beauty and activities for those who love an adventurous getaway. 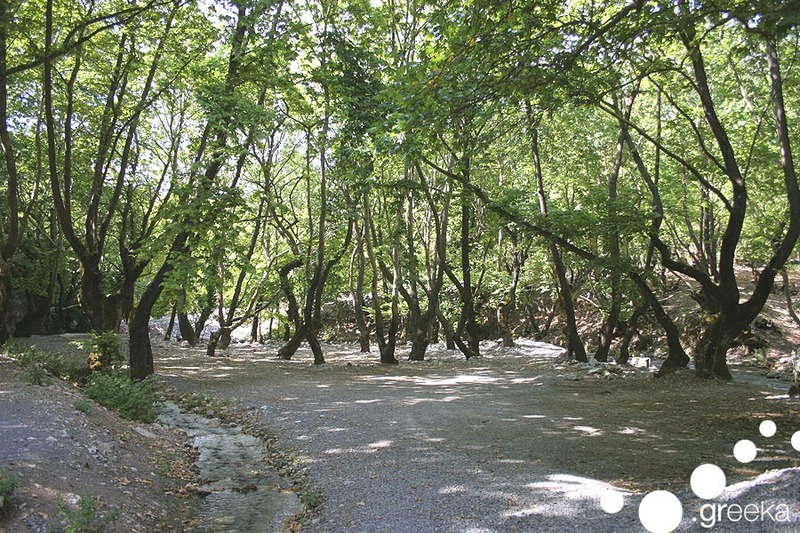 So let’s take a stroll around Kalavryta! If you choose to travel to Kalavryta by the traditional train (“Ododotos”), you’ll feel like going to Hogwarts school of Witchcraft and Wizardry! The mountain and trees landscapes are magical, as the train travels side by side with “Vouraikos” river. The Train Station at the center of the town is the trademark of Kalavryta. 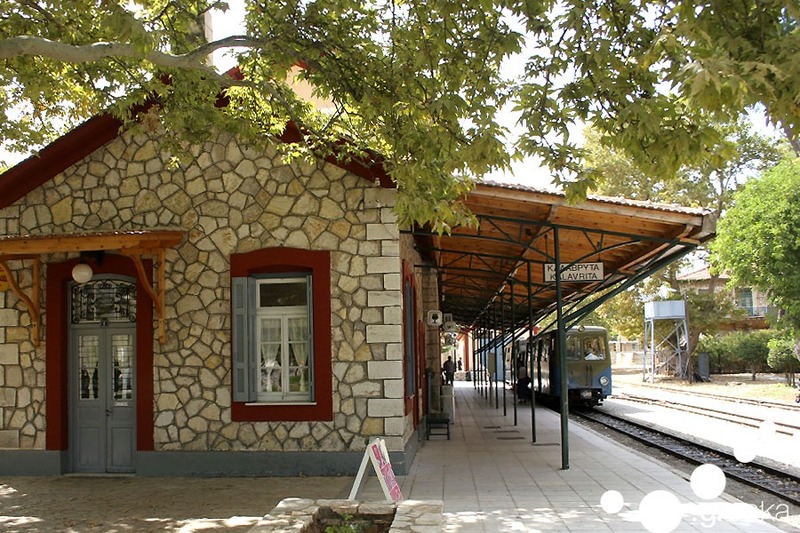 Tip: Once you arrive at Kalavryta, don’t forget to take pictures of the cute train station building. The well-known monastery of Agia Lavra is where the Greek revolution of 1821 started, so it has a great historical significance. It was built in 961 and has gone through several disasters among the years. 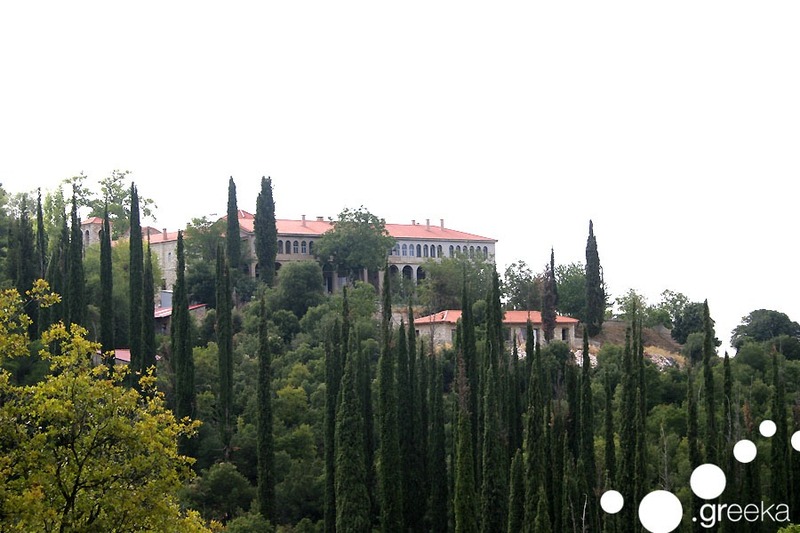 The latest disaster was in 1943, when the Germans burned the whole town of Kalavryta and the monastery. Tip: The monastery has a library with rare books and documents, as well as a museum. Welcome to the plane tree heaven! Located at the springs of river “Aroanios”, Planitero village combines earth and water in a magical way. You definitely have to visit the stunning plane tree forest and lay under the shade of the huge trees. You’ll be amazed by the lush of the forest and you’ll have an unforgettable hike. Tip: One of the trademarks of Planitero is its traditional watermill, which functions with just water. Don’t miss out to see this amazing old-school sight. Time for a myth! Lysippe, Iphinoe and Iphianassa the daughters of Proetus, king of Tiryns were sent to the cave, after being punished for boasting that their palace is better than the temple of Hera. Back to now, Cave of the Lakes is at Kastria village, 17 km away from Kalavryta and it simply breathtaking. Stone and water compose a mysterious atmosphere inside the cave, which makes it a must-see. Tip: The cave has a great paleontological significance, as human and sea horse bones were found at the bottom of the cave. We guess you’re feeling like you’re already there! Don’t hesitate and book your next winter trip to beautiful Kalavryta here and get the chance to feel this magical folk atmosphere.